The Alpha NEX-7 is the flagship in Sony’s range of NEX Compact System Cameras, CSCs. The NEX range began with models aimed at compact point-and shoot upgraders, but photo enthusiasts have always been beguiled by the quality potential and low light performance offered by its APS-C sensor – the largest of any CSC outside of the Leica M9. Until now the lack of proper manual controls and a built-in viewfinder compromised the suitability of NEX models as DSLR replacements, but the arrival of the NEX-7 changes all that. The NEX-7’s ultra high resolution OLED has 2.4 million pixels making it the highest resolution EVF on any compact system camera by a large measure. It’s big, bright and the closest you’ll get to optical viewfinder performance in a mirrorless camera. In contrast to earlier NEX models, the NEX-7 doesn’t scrimp on physical controls and its three-dial system makes exposure adjustment as easy as on a DSLR. Although the default setup could be improved upon, ample opportunities for customisation make it possible to access virtually all of the camera’s functions without recourse to a menu. The NEX-7 also offers an impressive array of movie modes with a best quality mode of 1080p50/60. But what sets it apart from from many other compact system cameras is the total control it offers over exposure, with the bonus of an external microphone input too. Throw in excellent image quality, great low light performance and outstanding continuous shooting performance and it all adds up to a very compelling ‘pro’ compact system camera. First, let’s look at just what sets these two models apart. The most obvious differences in hardware are the NEX-7’s higher resolution 24.3 Megapixel sensor vs 16.1 Megapixels on the NEX-5N, the built in Electronic Viewfinder and the additional control dials. The NEX-7 also has a built-in flash whereas the NEX-5N is supplied with a screw-on accessory and the 5N also lacks the NEX-7’s hotshoe and external mic socket. There’s not a huge gulf between the two models in terms of performance though. The NEX-7s higher pixel count may come in handy if you like big prints but, surprisingly, doesn’t really compromise image quality or high ISO performance a great deal. And the NEX-7 outpaces the NEX-5N’s continuous shooting performance, but the 5N is no slouch and can fire off a 10 frame burst at 10fps, so unless you shoot a lot of fast action sequences this is unlikely to be a determining factor. The NEX-5N of course has the advantage of a touch screen, which makes operation easier in some ways, for example to focus during movie recording. It also provides Photo Creativity results-based controls in Intelligent Auto mode, something the NEX-7 lacks. And while the NEX-5N provides the same video modes with as much control over exposure during recording as the NEX-7, it doesn’t feel as responsive because of the lack of physical controls to take advantage of those features. In fact, it’s hard to believe that two cameras which share so much in terms of their design could be so different terms of their handling. Fitting the FDA-EV1S electronic viewfinder to the 5N, (which has exactly the same specification as the NEX-7’s built-in viewfinder) won’t turn it into an NEX-7. The control dials are central to everything the NEX-7 does and without those, the Navigation button and the AF/MF/AEL buttons, you lose the ability to quickly and intuitively make changes to exposure settings and other functions. What this confirms is that Sony has got its positioning exactly right with these models. If you’re looking for a DSLR replacement that provides the same level of control the NEX-7 won’t disappoint. If on the other hand you like the idea of manual control, but prefer to have automated functions that you can override when the situation calls for it, the NEX-5N will be a much better fit – and it also represents great value for money. See my Sony NEX-5N review for more details. The Canon EOS 60D is a mid-range DSLR with an 18 Megapixel CMOS sensor, HD video and a fully articulated screen. It makes for an interesting comparison with the Sony NEX-7 because it’s significantly chaeaper and, well, it’s a DSLR. What does it have to offer over the NEX-7? Well, it has a mirror, pentaprism and an optical viewfinder which, however good the EVF on the NEX-7, is brighter and more responsive as well as easier to use in low light. The EOS 60D also has a much larger range of lenses to choose from. In terms of performance, the 60D’s autofocus is faster and functions better in low light than the NEX-7’s. Though the NEX-7’s continuous shooting performance is superior at 10fps vs 5.3fps, the EOS 60D can focus between shots at that speed whereas the NEX-7 drops to 3.3fps with continuous AF. The 60D’s best quality video mode is 1080p30, it provides manual exposure control in movie modes, but it lacks the NEX-7’s 50p/60p frame rates at 1080 and continuous focus. The one very obvious difference between these two models though is, of course, size and weight. The EOS 60D measures 145x106x79mm and weighs 755g including card and battery. Alongside it, the NEX-7, which is the largest NEX to date, is dwarfed. 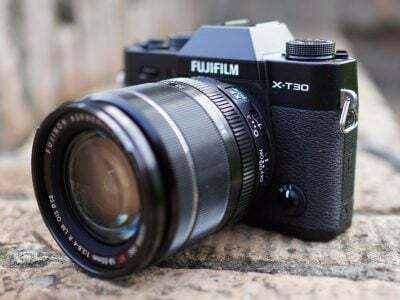 It’s not relative differences in the specifications, or even a standout feature that’s likely to sway potential buyers in the direction of one or the other, but rather the ethos of SLR vs compact system camera photography. Choosing a smaller camera over an SLR has always involved making some compromises, but the NEX-7 has shortened that list considerably, while also adding a few benefits in its favour. 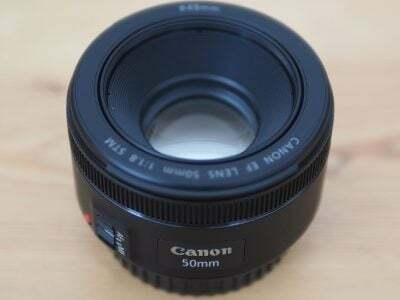 See my Canon EOS 60D review for more details. Ever since the NEX range was launched, photography enthusiasts have been waiting for a model that would exploit its potential to the full and the NEX-7 finally delivers on that promise. What makes the difference is the outstandingly good electronic viewfinder and the three dial control system augmented by navigation and AF/MF/AEL buttons. Add to that a high degree of customisability and you have a compact system camera with all the versatility and handling advantages you’d expect from an advanced DSLR. The NEX-7 comes with an impressive specification sheet and performance to match. Its 24.3 Megapixel sensor produces excellent quality images that are at least the equal of those produced by most APS-C DSLRs to date. It complements these with HD movies sporting full control over exposure and also has very fast continuous shooting. There are some niggles, but they’re mainly firmware issues – something that Sony’s shown a willingness to quickly address in the past with the NEX range. 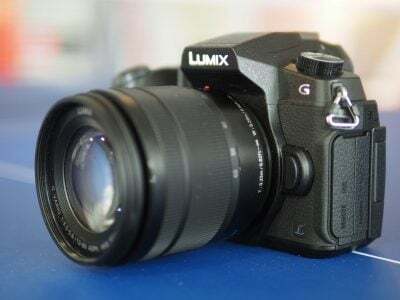 But it’s a fantastic start nonetheless, and with the promise of more E-Mount lenses on the way the NEX-7 looks set to be the model that photo enthusiasts will aspire to and other manufacturers will be looking to emulate and surpass. For now though, it sets the standard for high-end CSC bodies and deservedly receives our Highly Recommended award. Big, bright ultra high resolution EVF. PASM modes for movie shooting. Continuous AF in movie mode. Bracketing limited to +/-0.3 or +/-0.7EV. Poor menu layout and organisation. Movie button easy to accidentally press. AF struggles in poor light. Limited selection of native E-mount lenses.